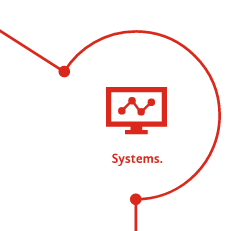 Systems: Essential Elements For ERP Implementation Success. The final part of Lee Ann Healy’s trilogy of blogs looks at ERP Systems. Lee Ann continues to discuss the essential elements required to achieve success within change projects. Focusing on ERP implementation but applicable to all business system projects, this series explains an approach to change that provides the best chance for success. OK so let’s assume by this point you’ve got the people and processes elements covered. Let’s also assume you’ve taken a robust and structured approach to the system selection phase. Time to focus on the implementation phase. I’m just going to pick out a few key points for consideration when embarking on the ERP implementation phase, and then pick up on a few Optimum-specific approaches which increase the chances of a successful implementation. How do we ensure the business can continue to operate at maximum capacity through the implementation? How do we ensure we minimise disruption and risk to operations through the go live? A bit like – how do we keep the light on whilst we change the bulb? A key consideration is often whether it will be a big bang approach or a phased approach. That is are you going to go live with all your business functions, divisions, companies, system modules etc at once ie big bang. Or are you going to take a phased go-live approach – which could be based on priority issue areas, complexity, geographic locations etc. Although it may seem counter-intuitive, sometimes a big bang approach is actually the least risky approach – particularly where there are disparate, inter-dependent legacy systems in a complex environment. If you’re having to build temporary interfaces, keep systems running in parallel, reconciling data and processes across an interim ‘half live’ environment – it can get messy and therefore the risk profile increases. However, more often than not, a phased approach is the least risky approach and would usually be our recommended approach where possible. Focus on manageable chunks and reduce risk to the overall operations: contain it to one company, or one function, or one module. Get that right, gather the learning points. Fine tune your implementation plan and rollout. Move on to the next. Usually, they get better each time. How do we get benefit and value into the business as soon as possible? Let’s get the biggest benefits into the business. Let’s get the biggest paint points addressed. That’s the whole point of the ERP implementation project. It’s not about changing technology for the sake of it. So always drive to make the business improvements happen sooner rather than later. End to end solution management is a key differentiator for us. When we meet new businesses embarking on a new ERP project – they often question why they should engage with us. After all, they’ve got their own internal team who know their business. And the ERP vendor promises to do the project management and all the system work. It’s a fair challenge. (Although it has been shown that using independent, impartial ERP experts increases the chances of successful implementation – with less cost in the long run). The breadth and depth of our ERP experience mean we bring invaluable end to end solution management – we sit on top of the overall solution and make sure there is an efficient end to end flow across the whole business, technically and functionally. That there is robust integration and touch points between the different business areas – across people, processes and systems. Often, vendor-specific ERP consultants are specialists in a particular module only or a particular business function only. The end to end view is missing. Often that falls to the project manager – but often that person doesn’t have sufficient breadth and depth of solution and business process knowledge. And often doesn’t have the time available to focus on the solution enough versus pure PM. Our end to end solution management approach to ERP implementation is a key success factor for us. Everyone’s familiar with the horror stories of businesses failing to achieve success with an ERP implementation. And the shocking statistics about ERP projects running over budget and over time, and not delivering the benefits expected. So are we – it’s why we set up Optimum in the first place as we’d been on the receiving end for so many years. We knew it could be done better. We’re passionate about delivering successful ERP implementations. We have developed our system-agnostic PRIME project implementation methodology based on our collective experience of hundreds of business and system change projects – and countless ERP implementations across a multitude of ERP solutions. It’s been built to maximise the chance of successful implementations by reducing time, cost and risk and ensure the expected business benefits are delivered.